Summer is here! The sun is shining, the grass is green and lush, the strawberries are ripe and the picking is good. 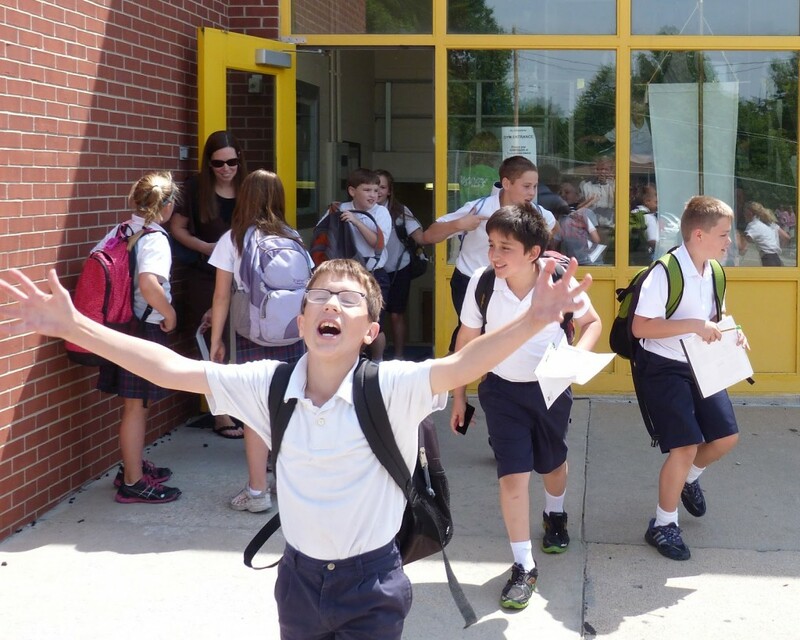 Remember how exciting it was to look forward to summer vacation? There isn’t a person out there in their right mind that doesn’t love summer. And lucky for everyone out there, summer is almost here and starting to be in full swing. Keep up the traditions you remember from childhood. If your family doesn’t have summertime traditions to live up to, establish some. You’ll give your kids memories for a lifetime – and have fun in the process. There are so many great things that go along with summer, and I hope you are going to be able to experience all of those things this summer. Ahh…the good old summertime when school is out and carefree days are full of swimming, bike riding, street ball, reading. Then the second week of summer vacation starts and you begin to hear every once in a while the whiny sounds of “I’m bored”. (I cannot ever remember saying the words, “I’m bored.”) It gradually crescendos so by the third week your ready to pull your hair out wondering how to keep everyone happy, busy and mommy sane. 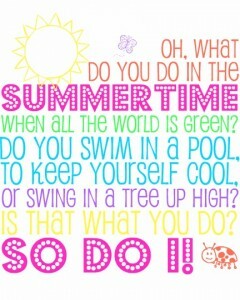 What do you do in the Summertime? When the world is green? Do you swim in a stream or lazily dream and watch as the clouds go by?? Is that what you do?? So do I. But please, please summer — last and last. So, what would you love to do this summer? Let’s decide together to stop making excuses and start intentionally putting family experiences, big and small, in our calendar and doing them. The summer may seem to stretch out forever when you’re thinking how you’re going to fill those days with restless children underfoot. 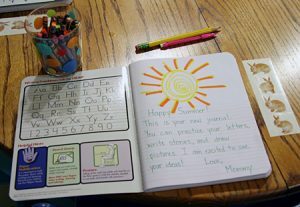 I hope these simple and inexpensive ideas for keeping kids busy over the summer break and have fun together all summer long. Things to do in the summertime…..
Get your bicycle out, clean it up, and get it ready for summer. Mix 2 cups water with a little food coloring, add 6 cups of cornflour/cornstarch to make goop. Cut out and play paper dolls. Go on Daddy-Daughter/ Mother-Son date! Rearrange the furniture in your bedroom. Write a summer journal. Go here for this cute free printable full of prompts to get you started! With the Olympics this summer, host your own backyard Olympics! Get the kids competing in running and wheelbarrow races, obstacle courses, water balloon tosses and jumping competitions.. Finish off the fun with a mini-Olympic awards ceremony to honor all of the athletes. Buy medals at the local dollar store or make your own. Arrange a mini-internship. If one of your kids loves animals, ask a veterinarian if your child could observe at the office for an afternoon. Raining? Don’t hide indoors. Whether you’re 3, 13, 33 or 63, get out there and splash in the puddles. Feel the joy! Laugh 400 times today. Keep count. Click on this link “How to make huge bubbles” to go to a earlier post of ours about how to have FABULOUS fun making BIG bubbles-Even one so large it can surround a child! We enjoy days of “teddy bear or dolly” picnics. Make a picnic lunch and kids take teddy bear or dolly to it. You can do this weekly – kids love it! Play in the water – but aside from the everyday play in the sprinkler, kiddie pool – make games with the water – use the water with paint brushes and paint the fence (it dries clear, lol)…put coloring in the water and stretch paper across a fence – fill water guns with this colored water and then they are really painting with water colors. Make musical instruments and become a ‘home band’ sensation! (think – pie pan tamborine, paper towel holder rain stick, string and cereal box guitar) – don’t forget to dress the part! Watching my grandchildren eat peanut butter and jelly sandwiches at the beach. Take all the cushions off your couch and some blankets from your bed and build a fort. Read a book. Try one that someone has recommended but that you wouldn’t normally choose for yourself. You might be pleasantly surprised. These popsicle sets are great for homemade popsicles or smoothies. They even fit into lunch boxes for a refreshing treat on a hot day. Here are some finger paints that are safe for your kids to eat…..because you know they are going to lick their fingers and possibly eat the pudding rather than paint with it. Safe, fun and delicious. Get the recipes over at Tinker Lab. Build a campfire and make s’mores. Or banana boats. Gather some old dry bread crusts and feed the birds. Or go to a lake or pond and feed the ducks. Kids Bowl Free is a nationwide program. 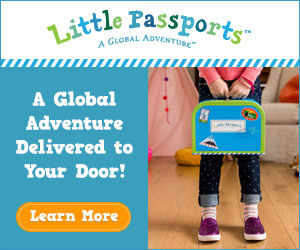 Families register online, then coupons are mailed once a week. Kids get two free games every day during the summer. You just have to pay for shoe rental. Marshmallow Shooters are a lot of fun. Especially since it’s marshmallows you’re shooting. They don’t hurt and they taste delicious, especially if they are fresh. Sure to be a fun afternoon for all! See how to make these with the photo tutorial. Head on over to Mom’s Crafty Space to get more details. Make your own car mat. Have a Backwards Day – Have dinner for breakfast and breakfast for dinner, etc. Make a Milk Carton Boat – and head to a pond. Go fly a kite (why not make them first). Volunteer….. 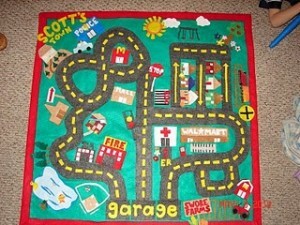 Pick a local nursing home a bring the kids once a week to read, play games with, or do crafts with elderly residents. I will admit that my kids didn’t love this idea at first, but as the summer wore on they began looking forward to their visits! 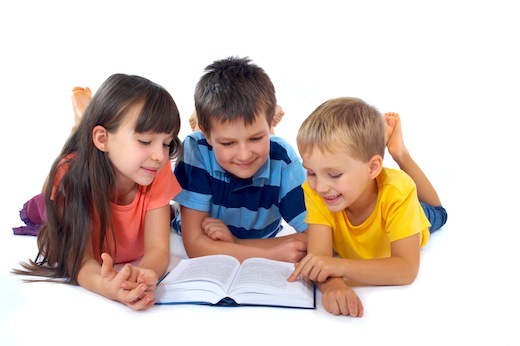 Library-STORY TIME – something about a different setting breaks up the routine for the kids, gives them something to look forward to. 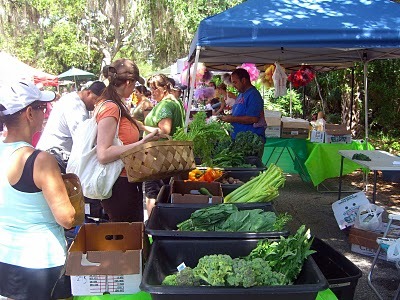 Buy something from the farmer’s market. AND remem­ber if the kids say they are bored they can always help with clean­ing. Bore­dom will be overcome. Finally, it’s important to keep a healthy perspective on things. You may think something will be boring, but keep an open mind and it might not be. Initially your kids may balk at some of these ideas, but hold your ground. Remember they are only children and often have no clue what they are missing. More than one child who rolled his eyes at the idea of doing some of these activities looked back at the end of the summer with excitement for what he learned and the memories that were made. Not to mention the great lessons learned about life and quality time spent together as a family instead of just looking for ways to be entertained. As you look toward the summer months, I hope these ideas help you plan your family outings. 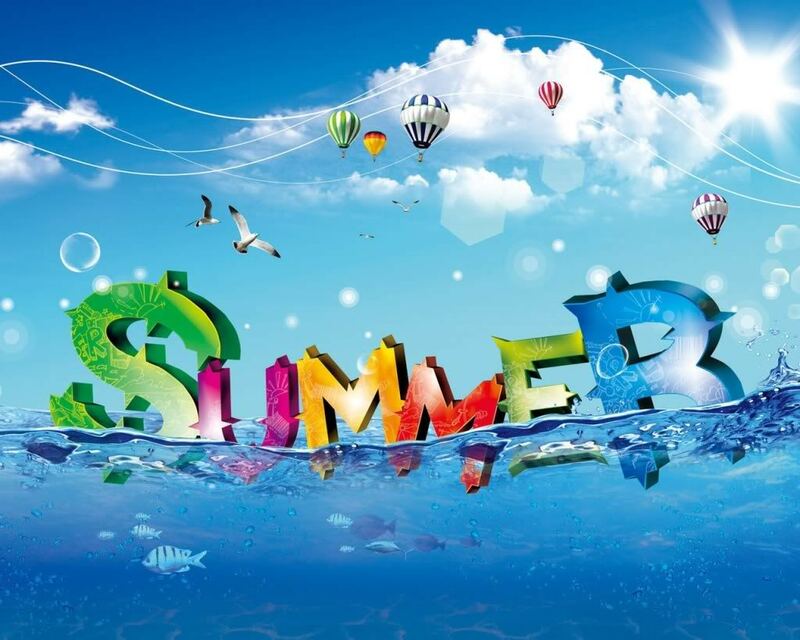 Summer truly is a great time to be with family and friends, and I hope you make fun outings a priority in your schedule. I promise that you’ll be thankful you did. Whatever your plans are, make sure you take lots of photos along the way.